Professor Takada, Li, Hirai, and Mai participated in the mission for teacher training from September 17 to 19. The training was held in the model school in Buutsagaan soum in Bayankhongor. It was the first cluster level training held right after the national training of the JICA 2nd phase project. The objective was to train the local teachers to design, develop and utilize digitalized training materials reflecting the local needs. 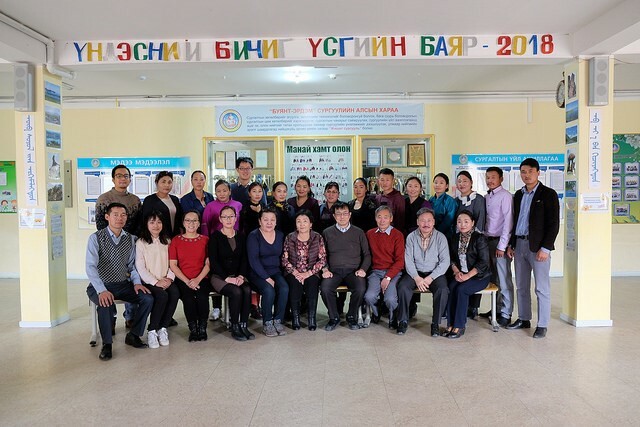 Professor Tsedevsuren from Mongolian National University of Education (MNUE) and four Education and Culture Director (ECD) methodologists who attended the national training conducted the cluster level training. The participants consist of two school principals, one training manager, and 12 teachers from five schools in Bayankhongor aimag. Based on the cascaded model of the project, professor and methodologists shared the methodologies they learned from the national training with the local teachers. Teachers learned to make use of the recommended software for classroom teaching as well as develop the digital teacher training materials. On the first day, the methodologies of integrating ICT into professional development in general were introduced to teachers. From the second day, the training focused on eight particular STEM oriented subjects, including Mathematics, Chemistry, Physics, Biology, Geography, Technology and Design, History and Social Science, and Language. The content was based on the developed teacher training guidelines and VCDs. It consisted of the lecture sections and the practice sections. Trainers introduced the new methodologies as well as many useful software and programs to teachers during the lecture sections, while teachers practiced to use the software on their PCs in the practice sections. All the trainers emphasized the importance of using ICT to solve the problems teachers meet in their daily teaching. 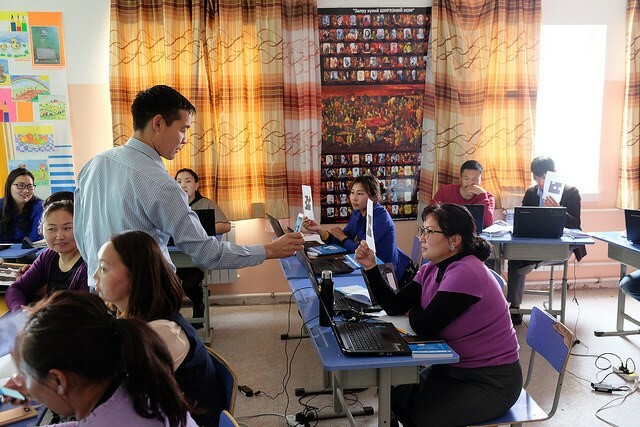 And they identify ICT as one of the important means to develop the education system in Mongolia continuously. Tokyo Tech team presented the overview of the JICA 2nd phase project as well as introducing the interactive learning materials to the teachers. Teachers showed their great interest in the interactive learning materials. During break time, the model school kindly prepared the students’ performance for the training participants. Children wore the traditional costumes of the different ethnics in Mongolia and danced. 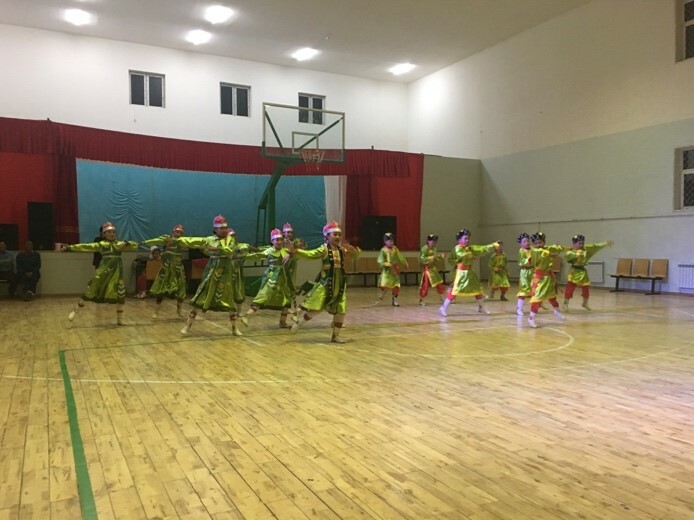 It showed the diversity of the Mongolian culture to the audience. Tokyo Tech team was impressed a lot by the performance. Copyright © 2019 Yamaguchi-Takada Lab. All rights reserved.